Are you in the market for a new travel trailer made for couples and small families? If so check out the impressive, lightweight 2019 Coachmen Apex Nano 203RBK travel trailer. 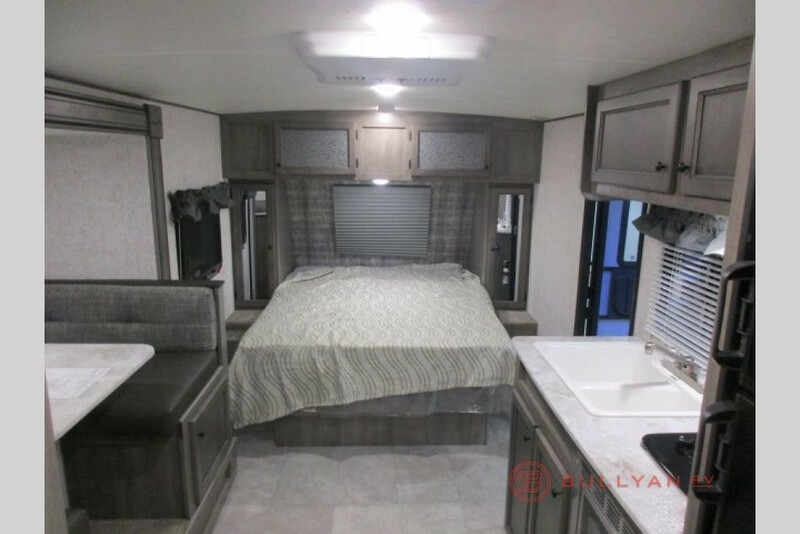 This RV sleeps up to 3 people and features a wide range of amenities that promise to make your life easier. It even comes with an outdoor kitchen for nights when you’re tailgating or hanging out. Read more in our 2019 Coachmen Apex Nano 203RBK review. A queen sized bed is located at the front of the RV. It’s plush and a welcoming space to unwind after a day of fun. 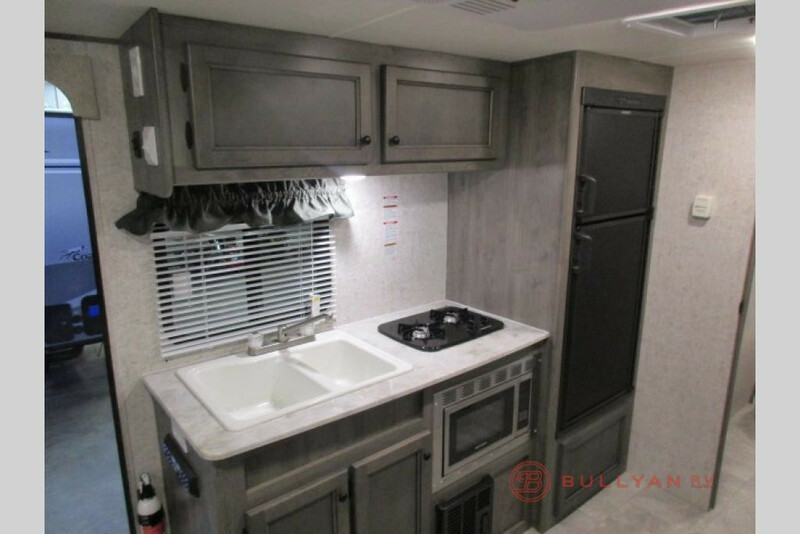 You’ll also appreciate the wardrobes for storage and the overhead cabinetry which provides you with another place to store things like games, extra pillows and blankets, and anything else that will help you make your RV your home. Your kitchen is the heart of the home. It’s where you create amazing meals that keep you fed and full AND where memories are made. Food makes everything better. This kitchen is the ideal size for a couple. For those who enjoy tailgating you’ll appreciate the outside kitchen that essentially acts as an extension of your interior. Don’t let this RV’s compact size fool you. 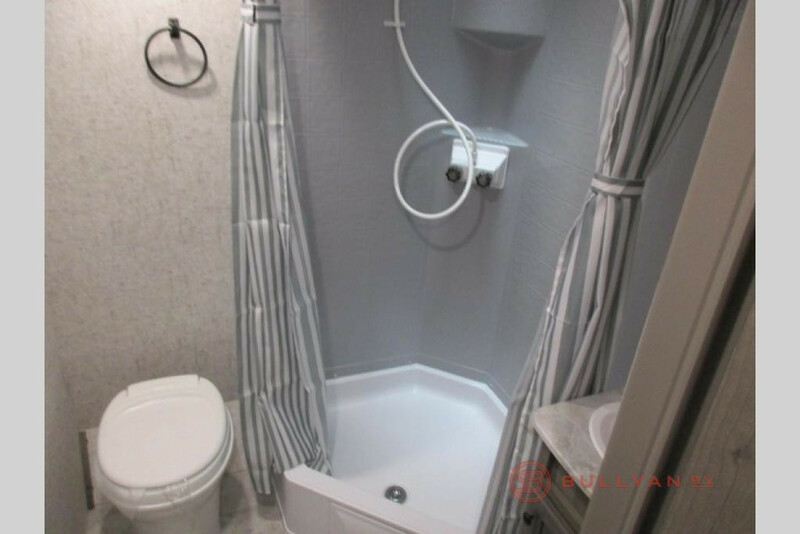 It comes with a spacious bathroom that offers storage for all of your toiletries and a large corner shower than is welcoming and spacious. Whether winding down for the evening or getting ready for the day, you will love every minute spent in this space. If you’re interested in learning more about the 2019 Coachmen Apex Nano 203RBK for sale, contact us. We can answer any questions you have and make sure you have the information needed to make the best decision for your needs. We can also assist with RV financing.